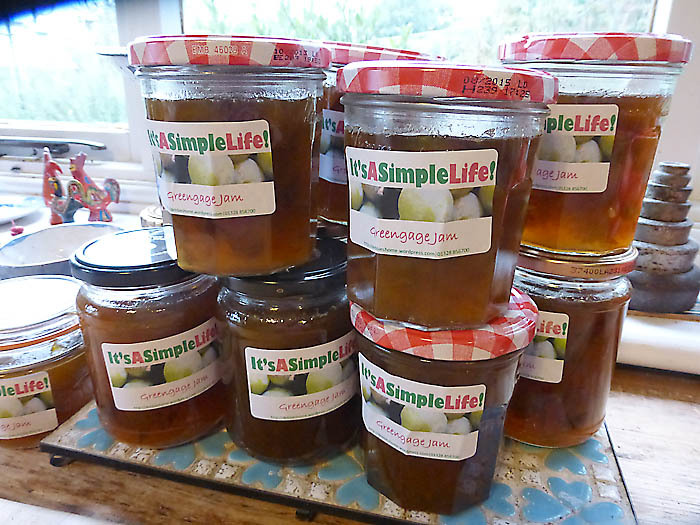 For want of repeating myself on regular intervals, I’ve made my regular greengage jam. Not so many greengages this year, but enough to make a good quantity of jam. 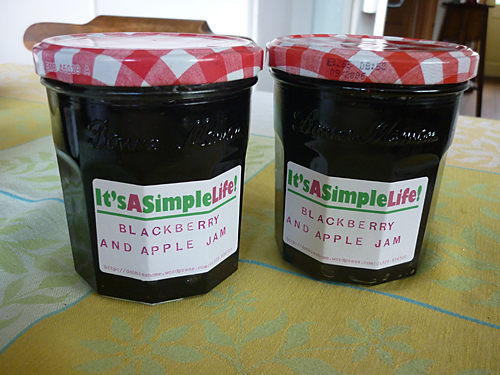 and eating the jam, it’s extremely sweet and something very special! A little late but here it is! 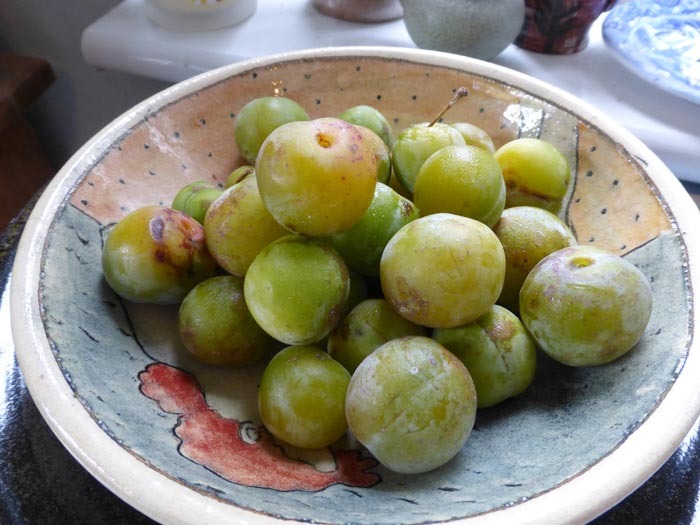 What a great harvest of greengages this year, lots to process, but lots stored in the pantry! 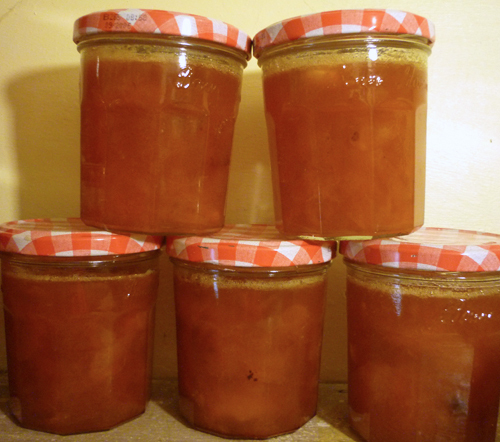 I must admit, sometimes I really don’t feel I have the energy (or time) to do the preserving when it has to be done. But my inner desire to do it wins over, and once I get started there’s no stopping me! The longest part is taking the stones out. Here’s the recipe below. 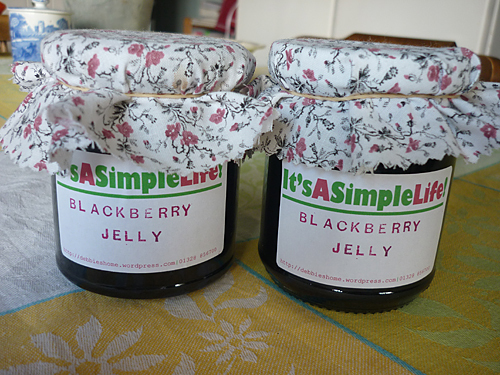 As I’ve marked on the recipe always have a couple of extra jars prepared as our jars in the UK are not lb jars any more. 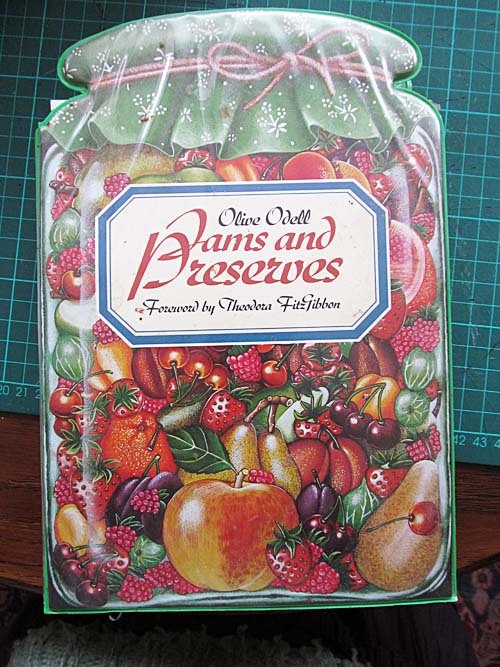 I am beginning to think that I need to do something with the fruit I have in the freezer, to make room for this years potential fruit harvest. I know it seems a long way off but it’s good to be prepared. 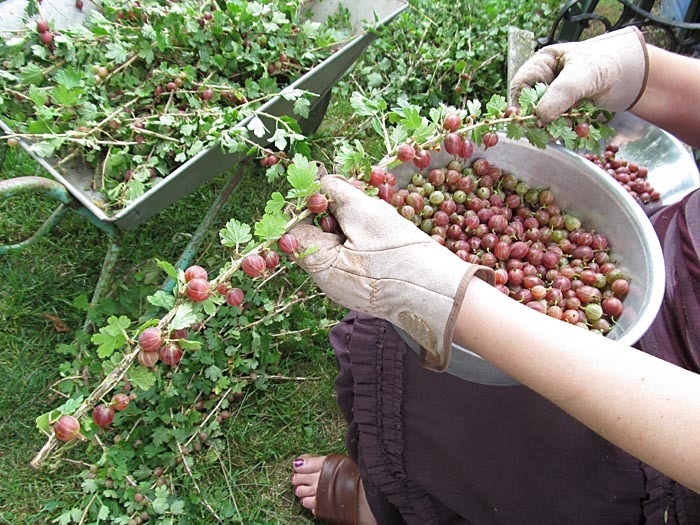 My crop, as you may have see when I harvested them last summer are dessert gooseberries, which are purple rather than green and are a teeny bit sweeter. 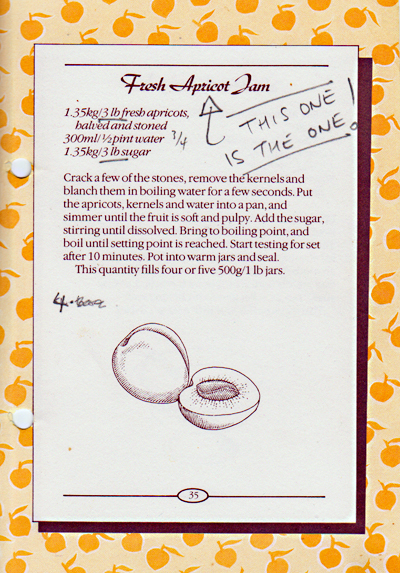 In the recipe it says to top and tail them before making the jam, which I did, but I wonder if that is really neccessary. 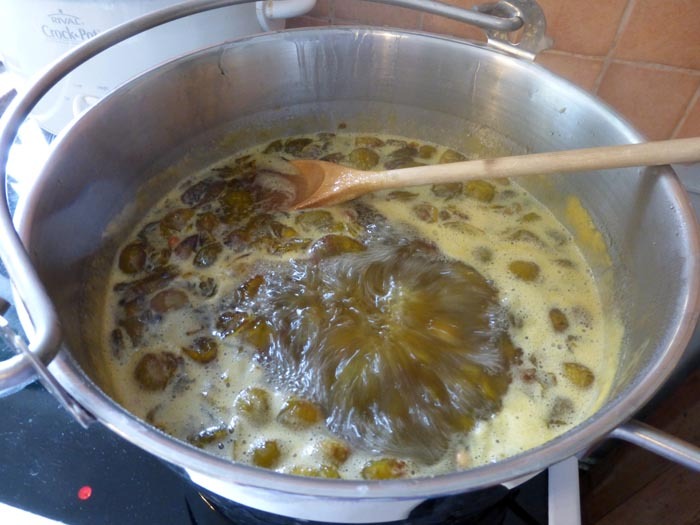 The sugar is added with the gooseberries and bay leaves, melted and bought to the boil. 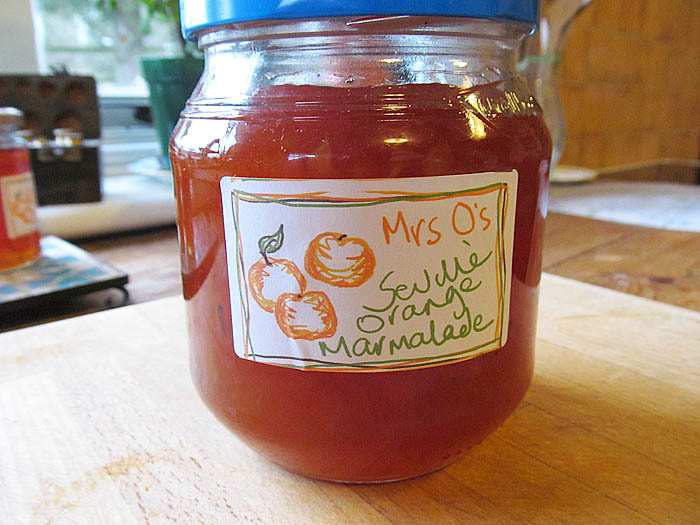 I’m sure I’ve posted about my marmalade before, but I do like to encourage people to enjoy life and do some lovely things. 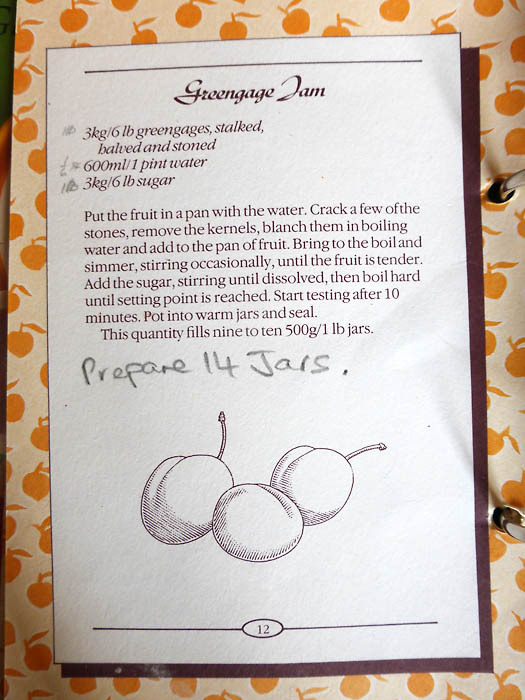 This is my favourite recipe from a little folder of recipes I bought not long after we were married. I’m giving you lots of pictures as well as the recipe to encourage you to have a go! 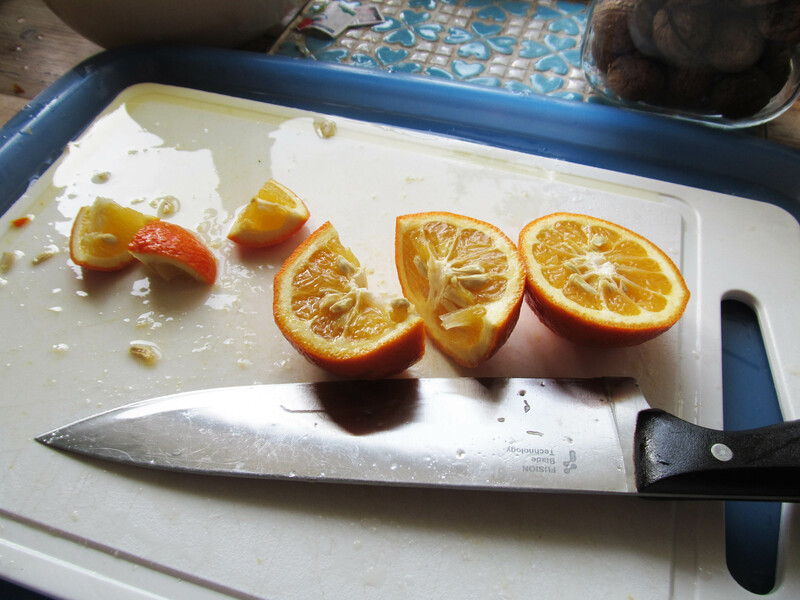 I always put my chopping board on a tray to save any juice that runs while chopping. 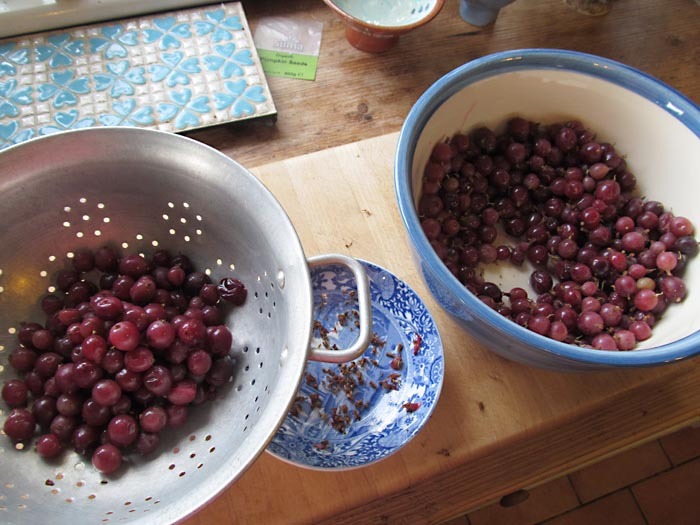 After removing the pips (see bowl on the right) you can either slice them by hand or in a food processor. 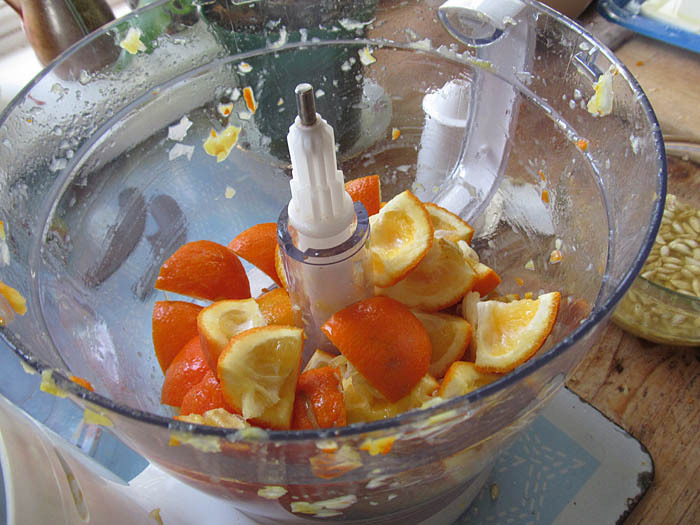 The oranges and pips soak over night (I cover with a clean cloth to avoid any contamination). Adding the sugar to melt before bringing to the boil. 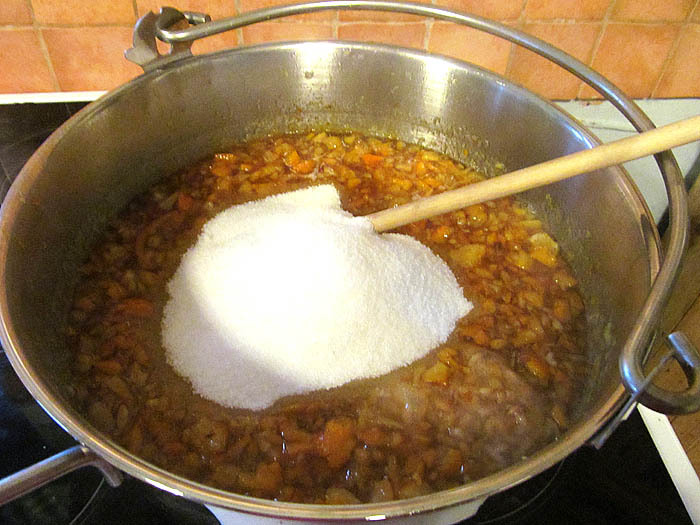 You can use Brown, raw or white sugar depending on the colour/strength of marmalade you like. Here’s the recipe, just ignore my scribbles! 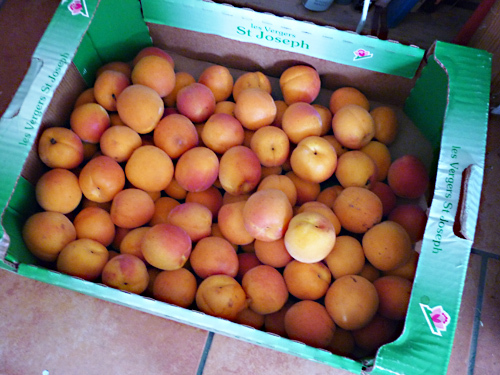 A reminder of the box of apricots I bought last week. 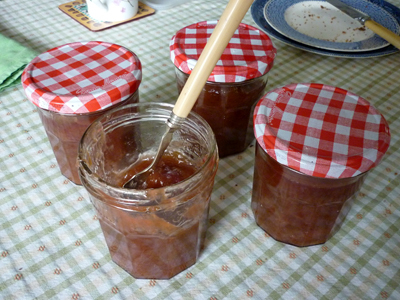 I decided I wanted to make some jam and some chutney. So I prepared the apricots, I quartered some because they don’t break down easily. 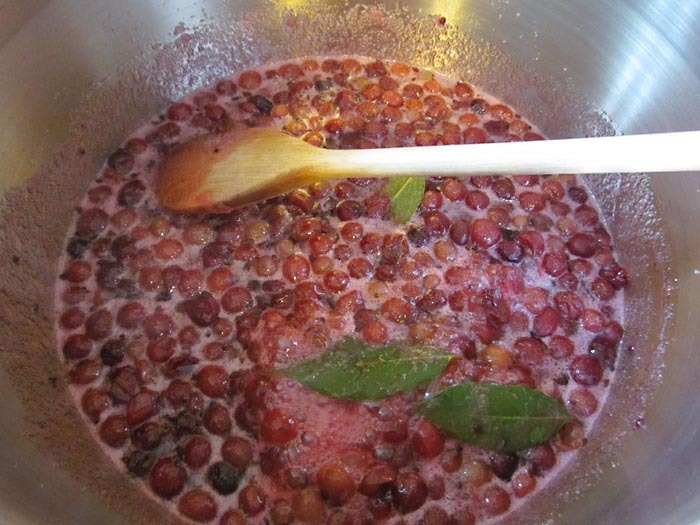 put the ones to make chutney in the freezer and made Jam with the rest. 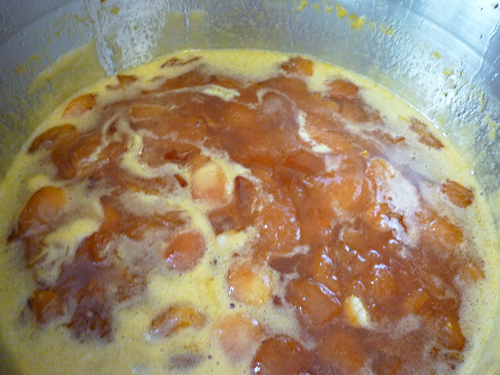 When the apricots are bubbling away the smell is amazing! 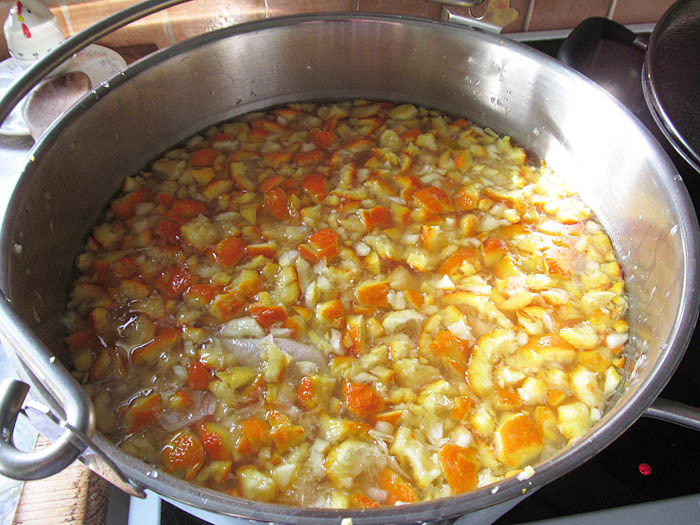 ….and I still have 2 1/2 lbs of apricots for my chutney! 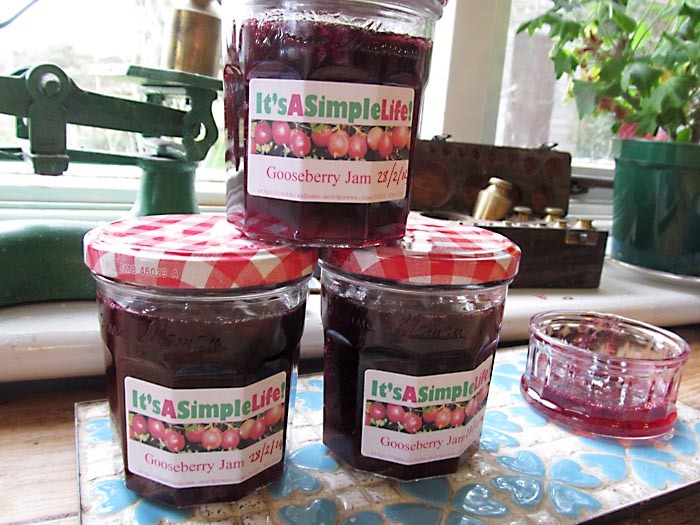 I work out that each jar cost me approximately 63p (which includes the cost of the sugar) and thats for some rather yummy jam full of vitamin C! 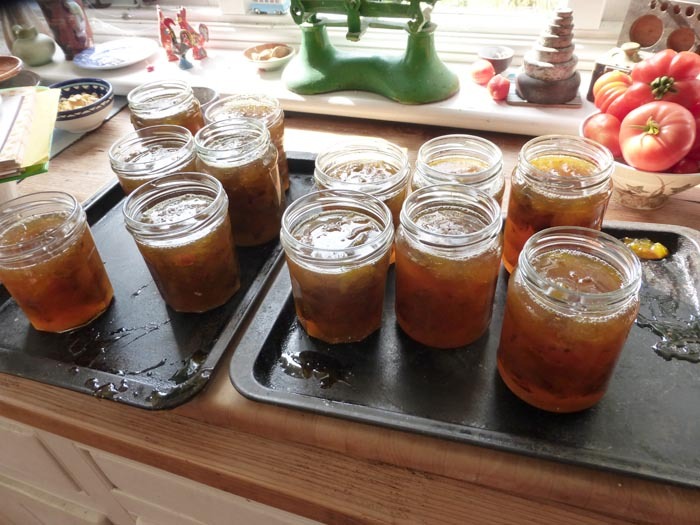 I’ve been catching up with my preserving, because of the limits of the broken arm scenario I didn’t get much done in the autumn. 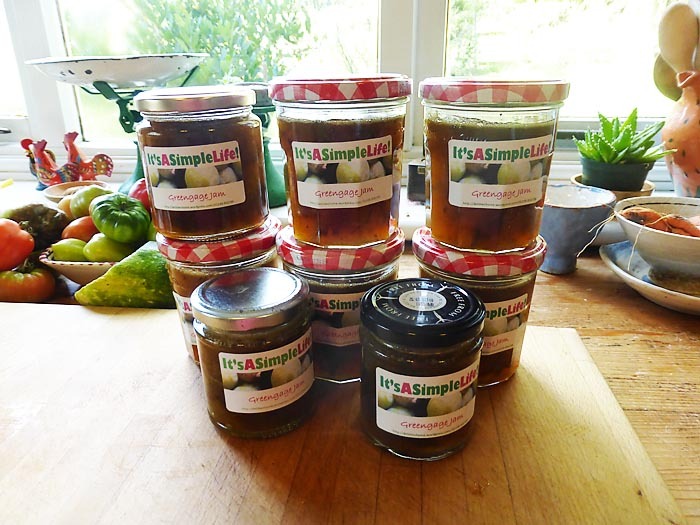 Keith has designed me some new labels…. I really like them, what do you think? 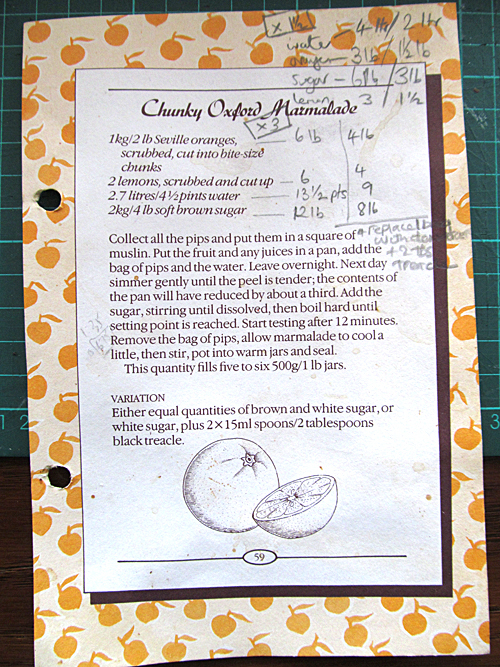 I haven’t shared the recipes as the fruit is not in season, but if you want them just let me know.